sailboat. 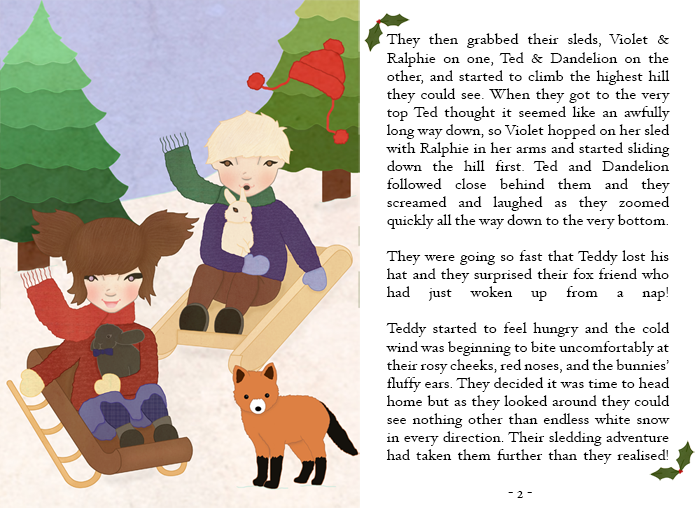 : Violet and Ted's Winter Adventure. Carly and I have been emailing backwards and forwards almost constantly for a little while now with ideas for Violet & Ted. 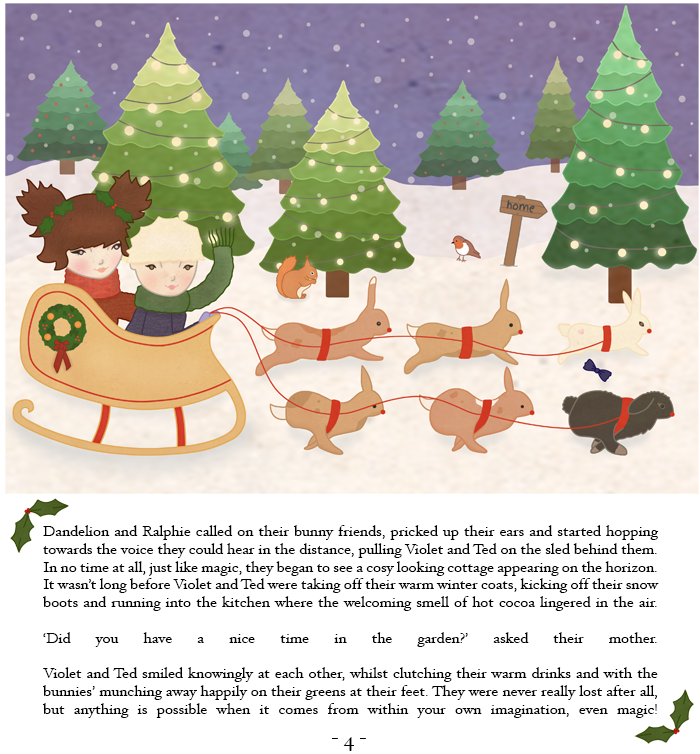 Until last week we were going to release a few Christmas illustrations along with a little poem, but we decided to try and push for our very first short story instead. Everything has come together surprisingly well in such a short space of time and for our first short, we're so pleased! I'm so incredibly proud of Carly, she is such a talented illustrator who has the ability to put incredible images together in such a short amount of time - she whipped up the final illustration of this story (my favourite!) within a day! Thank you so much once again for all the wonderful support so far! You're the best! Oh my goodness, this is amazing, Carly is so talented, did you write the story? I love that the font reminds me of old childrens books! I love this so much!!! You two are so talented! how incredible cute! I love the little bunnies pulling the sleigh too, so adorable. Wow, this is so cute! What a lovely Christmas story <3 You are both so talented & should be very proud! This is the absolute cutest. 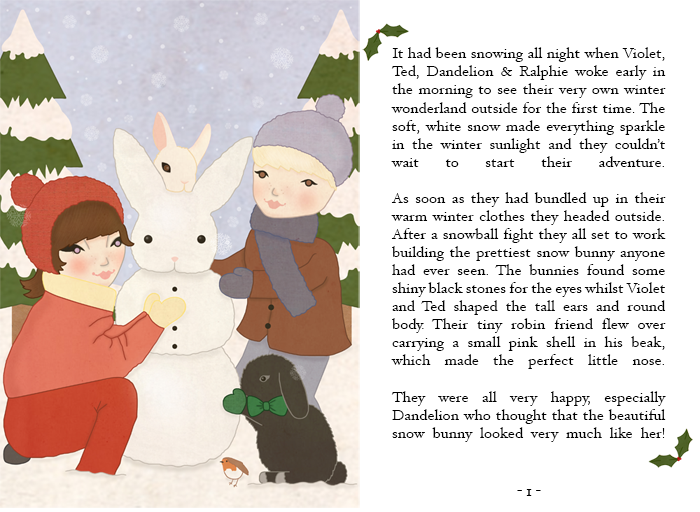 What a charming story and delightful illustrations. How adorable is Ralphie?! This is so impressive, I hope you're really proud of yourself, I certainly admire you! Wow, this is just simply wonderful! You should be so proud! Jennie, you and Carly are just ridiculously talented, you should so get this made into a little book all nicely finished for next christmas, it would be amazing, I really think it would be so cool. This is so sweet! Your writing style matches perfectly with Carly's illustrations. A massive well done to you both!